Company Profile | KDF DENKEN-HIGHDENTAL CO,.LTD. 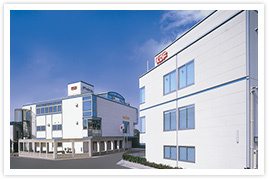 We KDF Denken-Highdental are a leading company of Dental equipments and Furnace for Scientific research. Since the foundation, we have been receiving a good reputation and bringing success from not only Japan, but also US, Europe, and other part of Asia. We aim to contribute to the world by our technology and to create a worthful company based on customers' trust. copyright (C) DENKEN-HIGHDENTAL Co., Ltd.